The Colorado real estate market is entering peak summer selling season and with that comes favorable conditions for sellers. Luxury home sales (sales over $1M) in Denver metro and Boulder continue to see a significant increase year-over-year, while the Denver metro saw a remarkable 37% decrease in days on market, according to the May luxury market report just released by LIV Sotheby’s International Realty (LIV SIR). In addition to a predictable influx of buyers entering the market during the warmer months, it continues to demonstrate impressive growth, largely due to luxury buyers’ confidence and investment in Colorado’s vibrant economy. In May, the number of properties sold and total sales volume in both Denver metro and Boulder demonstrated noteworthy increases year-over-year, indicating a competitive marketplace. In Denver metro, the number of luxury homes sold in May demonstrated a 22% increase year-over-year, with 196 homes priced at more than $1M, sold in May 2018, compared to 161 sold in May 2017, according to data released by LIV Sotheby’s International Realty and based on information from REColorado. New inventory increased 16% year-over-year, with 319 new listings entering the Denver market in May 2018, compared to only 274 new listings in May 2017. Average days on market saw a significant decrease, down a staggering 37% year-over-year, from 103 days in March 2017, to just 65 in March 2018. 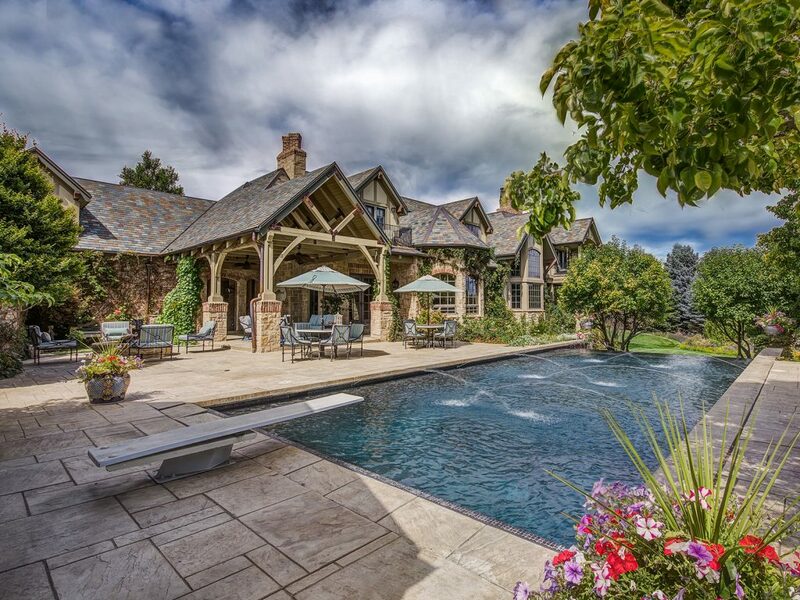 The most expensive residential sale in May in the Denver Metro was a 13,737-square-foot residence located at 4580 S. Franklin Street in Cherry Hills Village, CO which sold for $4,400,000. LIV Sotheby’s International Realty brokers, Nancy Wolfe, Jeff Hendley, and Chris Bouc, represented both sides of the sale. In May, the Boulder County luxury real estate market demonstrated an 11% increase year-over-year of homes sold, with 71 homes selling in May 2018, compared to 64 homes sold in March 2017 (information from IRES, LLC). Year-over-year, the number of new listings increased slightly, rising from 131 new homes listed in March 2017, to 137 new homes listed in May 2018, a 5% increase. The average sales price also increased, up 8% year-over-year, from $1.5M in May 2017, to $1.61M in May 2018. The Boulder luxury market continues to break records with total sales volume year-over-year for May increasing by 20%. Limited inventory and increased demand indicate Boulder’s continued position as a hot seller’s market. The most expensive residential sale in May in Boulder was a 6,083-sqaure-foot residence located at 35 Bellevue Drive, Boulder, CO that sold for $4,750,000.